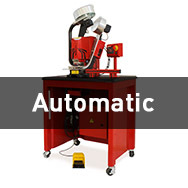 We manufacture all kind of eyelet machines for PLASTGrommet eyelets, no matter the market sector you are in or the job you need to finish. 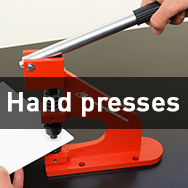 Self piercing hand presses all sign makers need as portable HPS 025 or table fixed HPS 020, double action HPS020R for curtain manufactures (25mm and 40mm eyelets) where with the same tool you pre-cut the material and close the eyelet. 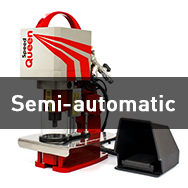 For those customers that need to finish banners with no effort at all we have the semi-automatic models, Speed Queen with foot pedal or Queen finger activated. 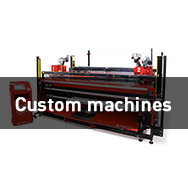 Fully automatic Evolution model is the piece of equipment you need to finish banners on a professional and fast way. Maximum setting speed is 40 eyelets per minute, but this figure will be difficult to reach by operator as he will need to move the banner. Our laser pointer is a magic eye that will help you to go even faster if you print with the RIP the eyelet marks.